”Mineral” is not the first thing to come to mind when you hear the word “beauty,” and that‘s a pity because they look so, so pretty. This selection of some of the most beautiful minerals and stones in the world will be a feast for your eyes. A mineral is a “naturally occurring substance that is solid and inorganic representable by a chemical formula, and has an ordered atomic structure.” Rocks, unlike minerals, don’t have a specific chemical composition, and can be made of both minerals or non-minerals. Although there are over 4,900 known types of minerals, the ones here are just the most beautiful ones that we and our readers could find. 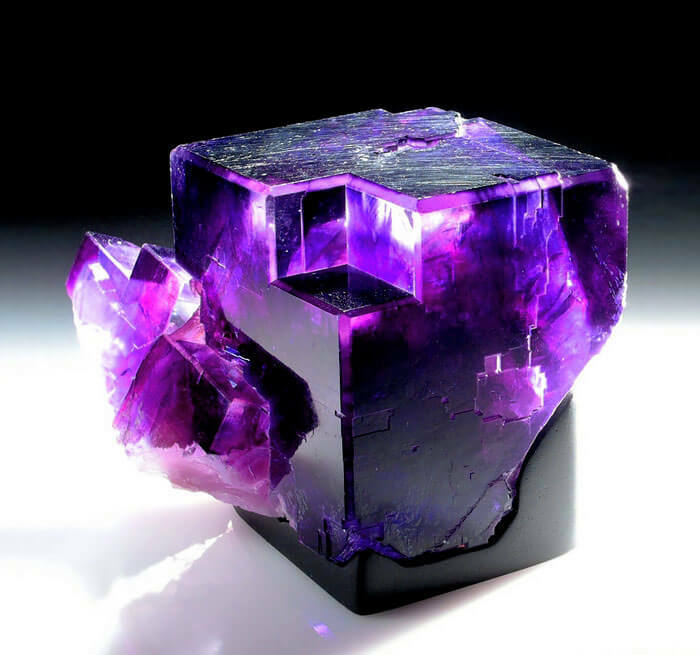 Have a beautiful picture of a mineral? Add it below! In this beautiful close up by gemstone hobbyist Jeff Schultz, we see a stunning Mexican fire opal. When illuminated just right, it looks like a sunset above the clouds. According to Wikipedia, fire opals are transparent to translucent opals with warm body colors of yellow, orange, orange-yellow or red. The most popular source of fire opals is the state of Querétaro in Mexico; these opals are commonly called Mexican fire opals. If you enjoyed this ‘sunset’ gem, you’ll definitely want to check out this Opal Butte opal which looks like an underwater scene from the ocean! It looks like the universe is trapped inside this rock. Seen here is a stunning opal from Opal Butte, a mine in Oregon, USA. Officially known as Opal Butte opal, the beautiful gem below is owned by Inna Gem. It weighs 740 ct and measures 60 x 45 x 41 mm. When the light hits this opal it looks like an underwater scene from the ocean. Opal is a hydrated amorphous form of silica. Its water content may range from 3% to 21% by weight, but is usually between 6% to 10%. Because of its amorphous character it is classed as a mineraloid, unlike the other crystalline forms of silica which are classed as minerals. It is deposited at a relatively low temperature and may occur in the fissures of almost any kind of rock, being most commonly found with limonite, sandstone, rhyolite, marl and basalt. Opal is the national gemstone of Australia, which produces 97% of the world’s supply. An alternative Acorn or Briolette Style in a Bicolor Tourmaline from Burma, precision faceted with close attention to detail. For the Designer or Collector without Faint of Heart.